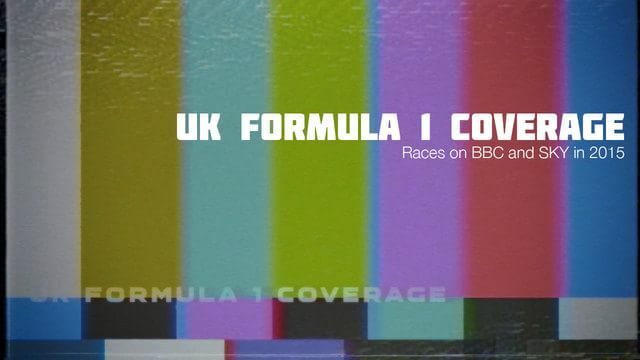 The split coverage between F1 broadcasters in the UK has been confirmed, with details of which races will be free to air and which will be solely available on the subscription service Sky Sports. Just like last year, Sky retain exclusive rights to Singapore and Monaco, as well as the returning Mexican Grand Prix later in the season. The BBC will show extended highlights to those races they do not have full rights to, but have managed to secure the final two rounds of the season with the stellar Brazilian race and the mildly interesting Abu Dhabi. They've somehow ended up with Russia as well, which must have been a last choice for both broadcasters. Interestingly, the BBC have lost Spain in favour of Bahrain, perhaps hoping the excitement of the 2014 night race can be continued into the new season. They've also secured Canadian GP coverage, making the most of prime time entertainment slots. The addition of a 20th race this year makes the split an even 50/50, although there's still a great deal of confusion for viewers hoping for consistency this year. Sky continue to increase their pay-per-view options offering day and monthly packages to avoid lengthy contract commitments, but it will still be awkward knowing where to look for each race.